I'm no font fanatic. I can't tell the difference between Calibri and Carlito but I can tell the a busted document layout. Fortunately, Carlito has the same front metrics as Calibiri (and Caladea has the same metrics as Cambria). The font-substitution table in LibreOffice then allows me to work on documents using these fonts while getting a layout the same as my colleagues on Microsoft Office. 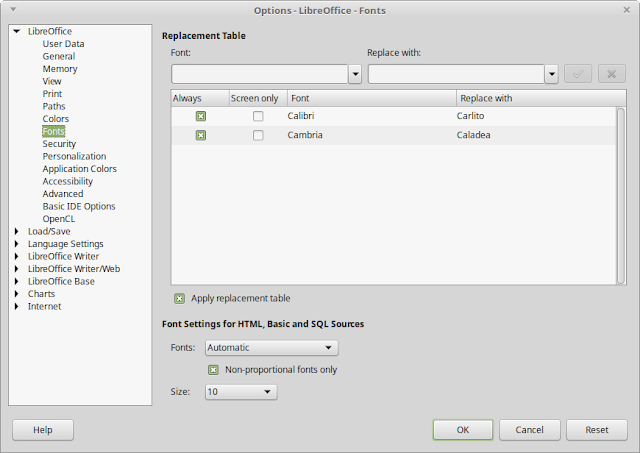 Define a substitution for each of the two fonts (Calibri -> Carlito, Cambria -> Caladea). Remember to check "Always" in the substitution lines. Once the program is restarted, documents sent from MS Office look almost the same on your screen and printouts.